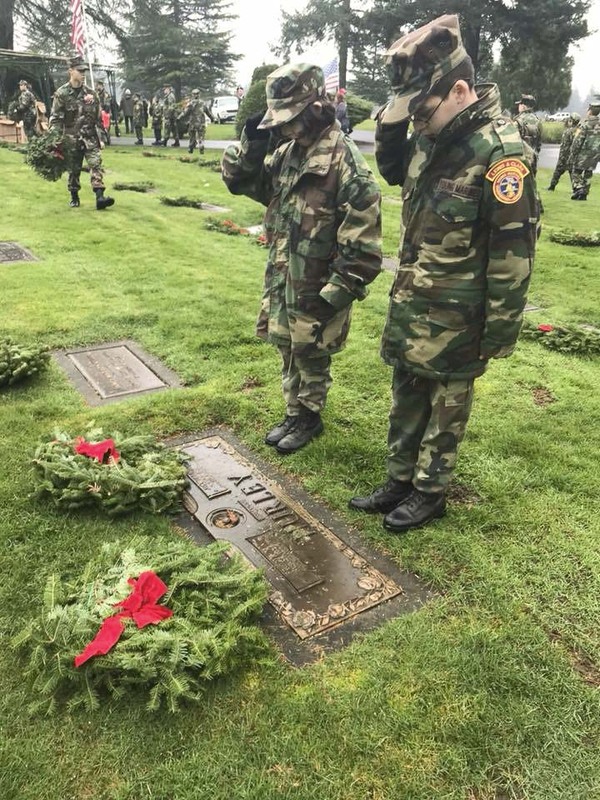 VANCOUVER — It is the goal of the Lewis and Clark Young Marines to sell 2,000 wreaths this season; enough to lay on every veteran grave at Evergreen Memorial Gardens. Starting in 2014, the LCYM partnered with Wreaths Across America to sell wreaths in the Clark County area. LCYM has currently raised 401 sponsorships, at 15$ per, to purchase the wreaths. 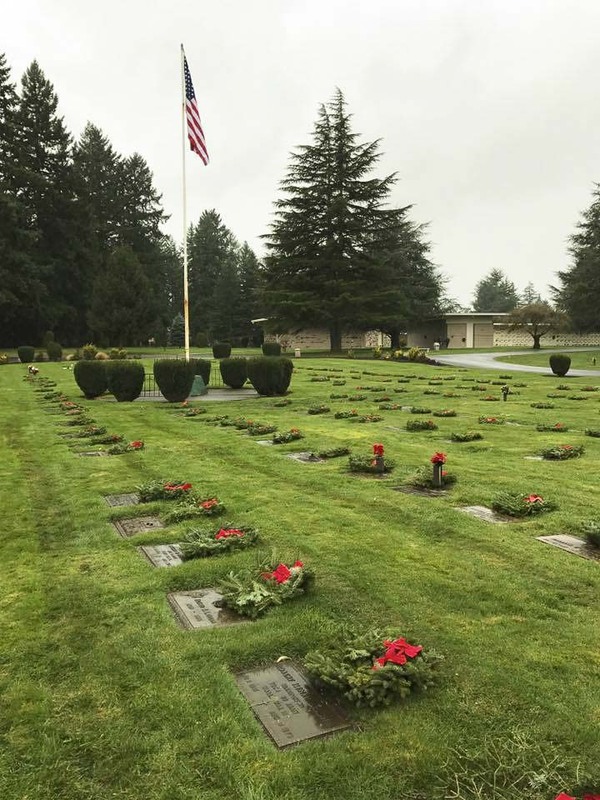 Last year they sold 462 wreaths, leaving close to three fourths of Evergreen Memorial Gardens’ veterans without. Wreaths can be purchased, or sponsored, by people in the community and are then delivered by WAA to the cemetery the morning of the wreath laying ceremony. This year’s National Wreaths Across America Day will be on Dec. 15. Anyone is welcome to join LCYM and other community veteran groups, like the Patriot Guard Riders, at the wreath laying ceremony. The Young Marines are a national organization with close to 10,000 members. LCYM was established 16 years ago and has members from Clark, Cowlitz, Multnomah, and Clackamas counties. For information on LCYM or the WAA, or if you would like to donate, visit the LCYM’s WAA link, check their Facebook page for updates or email them directly at waa@lcym.org.